Our Vision explores one possibility of how to transform the existing I-980 Right-of-Way (ROW) into a new, vibrant, transit-oriented corridor while also serving as a natural multi-modal connection hub for BART, Caltrain and even High-Speed Rail (HSR). This vision uses the most current knowledge of the I-980 ROW, the surrounding neighborhood conditions, the future transportation needs of the Bay Area, and leverages Oakland’s central location within that system. The vision is meant to be a starting point — to begin discussion of how to ameliorate a long-standing blemish of the past and create a new patch of urban fabric that can be a game-changer for the future. Reconnect West Oakland to Downtown by reestablishing 12 city streets. Unlock approximately 17 net acres of new publicly-owned land for future improvement. Extend a new BART line under the I-980 Boulevard connecting the existing MacArthur station to Alameda and a second Transbay Tube. Solidify Oakland as the Transit Center of the Bay Area by connecting Caltrain and HSR to Oakland through the Second Crossing (new Transbay tube) to a terminus and new HSR/Caltrain Station at 14th Street. 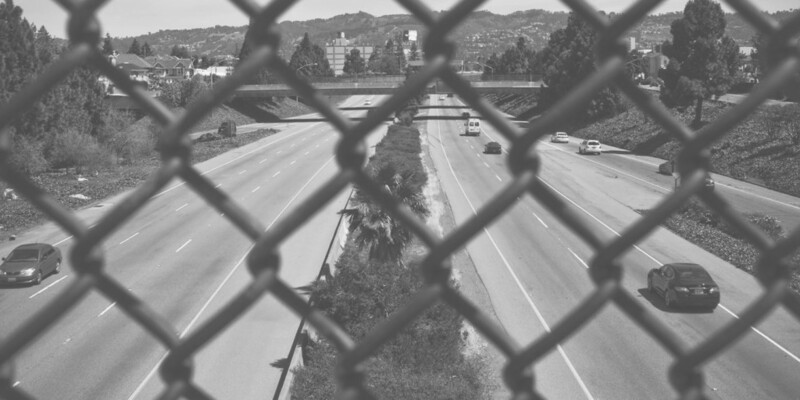 The greatest justification to eliminate I-980 is to right the wrongs of its creation. Designed in the 1950s and not completed until 1985, the I-980 corridor stands as testimony to an era of urban planning and freeway building across the United States that had tremendously deleterious effects on established, minority communities. Along with the creation of I-580, these freeways intentionally severed West Oakland and its majority African American residents from the City of Oakland as a whole, while the construction of the freeway displaced and obliterated numerous businesses, families, and connections. Re-establishing the street grid that was disrupted by I-980 will do much to heal this lingering scar. The current design of the I-980 right-of-way has only 5 pedestrian and vehicle connections that span the freeway and provide inhospitable and infrequent connections between the two neighborhoods. The new design of the I-980 R.O.W. will reestablish 12 pedestrian, bike and auto connections between West Oakland and Downtown. The new connections will improve pedestrian safety and reconnected the two neighborhoods economically, socially, and physically. The maximum distance between current parcels will be reduced from 560 feet to approximately 132 feet. ConnectOakland believes a multi-way boulevard is the best solution to the disconnection and marginalization caused by the current configuration of I-980.